Home Arts & Culture Heritage Have You Heard About the Best Mugs and Marmalade in London? "You thought M&M meant meat? Bless you. At St. Paul's, it means Marmalade & Mugs"
Where’s the best London-made marmalade in The Forest City? Also, who has the best $10 mug? If you answered, “St. Paul’s Anglican Cathedral,” both times, give yourself two hugs from me. As a member of the St. Paul’s parish family, hear me out. I am biased, but you just can’t beat this M (for mug) and M (for marmalade) in My London. It’s your basic made-in-China mug just waiting for a fill-up with tea or hot chocolate or coffee or et cetera. What makes it glorious though is the wraparound reproduction of a 1939 drawing of the 472 Richmond Street (at Queens) Cathedral by James Henry “Jimmy” Finney (1875-1952). Finney apparently worked at the old Wright’s Lithograping Co. Ltd. business on Wellington Street in downtown London (one of the most beautiful buildings in the Forest City!). Finney’s grandchildren have given permission to reproduce the illustration with proceeds going to Project Jericho, a Cathedral fundraiser. What’s this fundraiser all about? According to the St. Paul’s website “one of London’s most prominent heritage buildings requires urgent repair to keep the roof overhead and protect irreplaceable historic items and works of art.” Due to rotting trusses, the structural integrity of the roof has been compromised meaning it could collapse. This structure is one of the most beautiful and grand in all of London and since it was built from 1844-46, it would be a crying shame to lose a building that has been in London for well over a century and a half. The St. Paul’s family is reaching out to the community for donations and support in hopes of raising the funds to fix these problems. 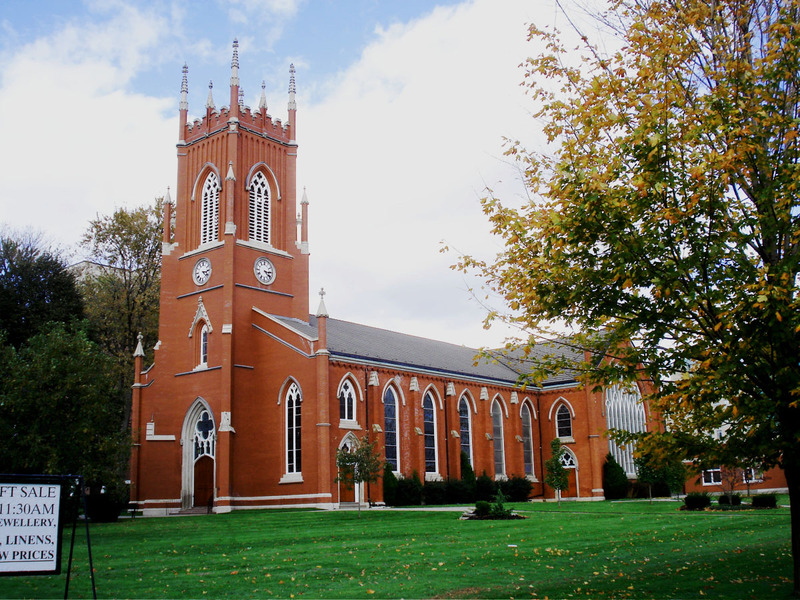 You can help save this historic gem by contributing through Canada Helps, or by contacting the office at St. Paul’s Cathedral. Now on to the marmalade. The cost is $5.50 per 250 ml jar or $66 for a case of 12 jars. The Special (JBNBlogger can’t tell you what the single malt secret ingredient might be) marmalade is $6.50 per jar or $78 for a case. It’s available at the Cathedral on Sundays. 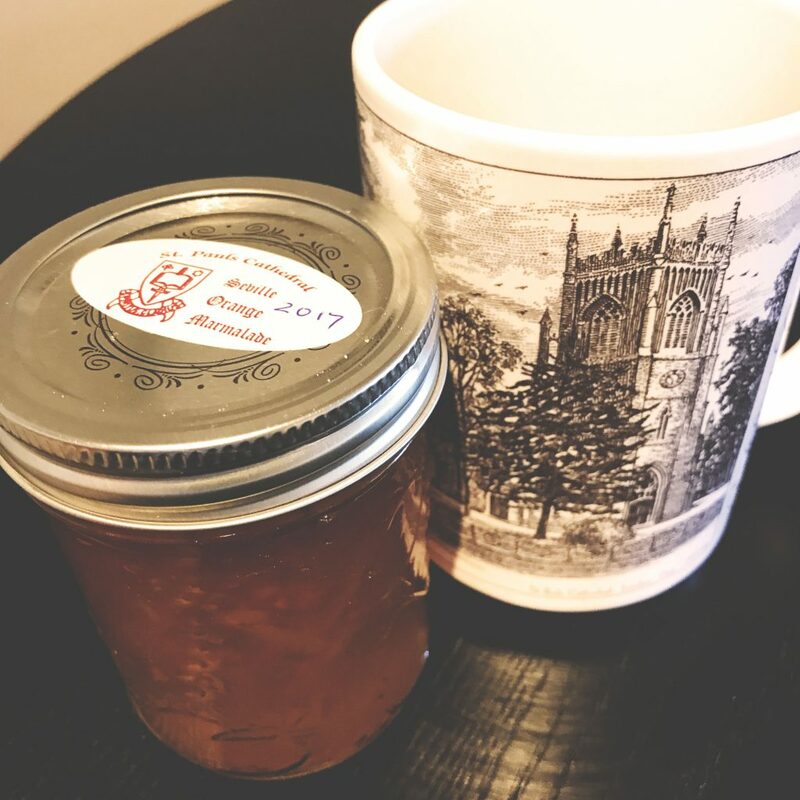 You can also get marmalade at the Cathedral on weekdays from 8:30 to 3:30, speak with Tim at the reception desk (entrance facing Clarence Street). Here’s the marmalade deal: the James Stewart Reaney money back guarantee. If you buy some and are not entranced, elevated, or enthralled, I will personally refund your cash. PERSONALLY: but I get your marmalade. And so I will still come out ahead on the deal. So get your M-self over to St. Paul’s for a Mug and some Marmalade. Visit www.stpaulscathedral.on.ca or call 519-434-3225 to dial up your M-order.